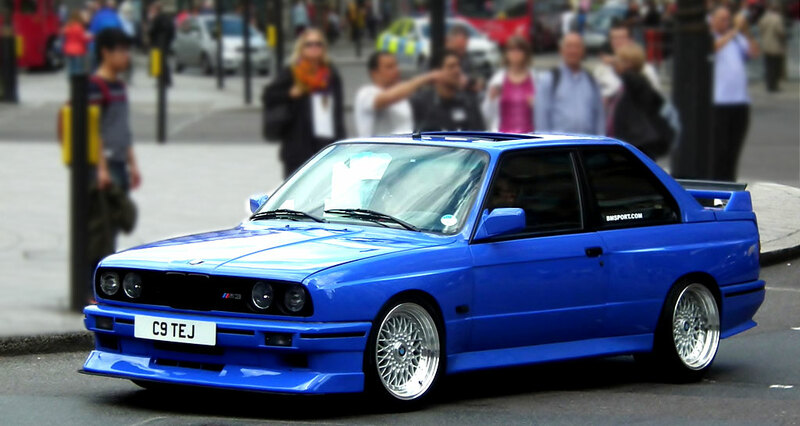 This European Spec BMW E30 M3 is painted a nice bold hue of blue. 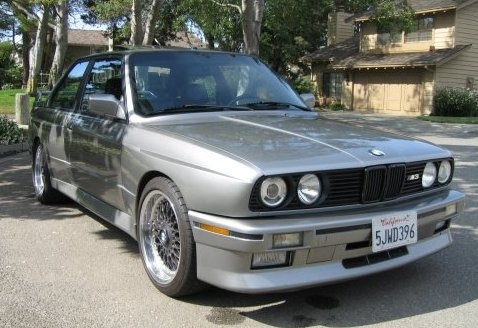 Mounted to this E30 M3 is an original set of Silver BBS RS wheels with BMW Logo Caps. 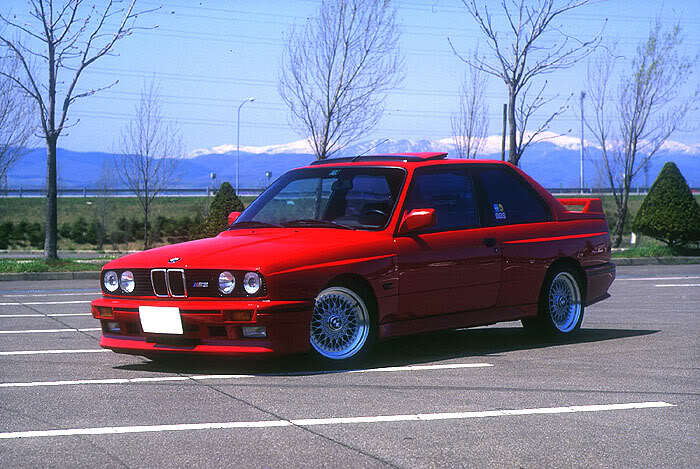 The E30 M3 is also fitted with a front splitter and extra wing. 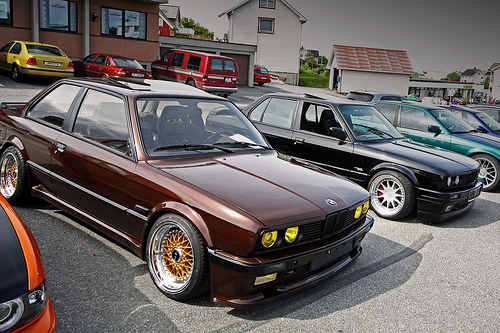 This brown BMW E30 appears to come to us from Europe. 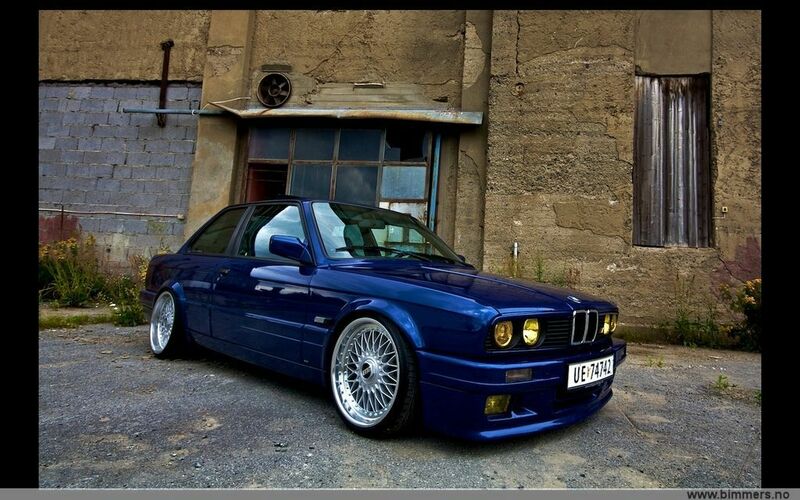 If you can notice the rear Gold BBS RS wheels, they have some very fat lips. The car has a nice color combo that works very well. The body kit accentuate the wide wheels and stance. The hood spoilers and yellow lights give the front end an aggressive look. 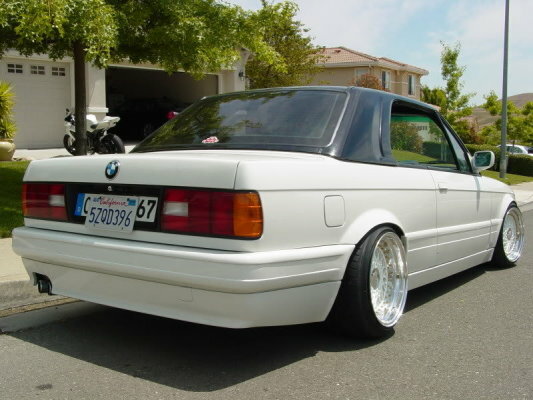 Hartge Wheels on the Black BMW look really nice too! 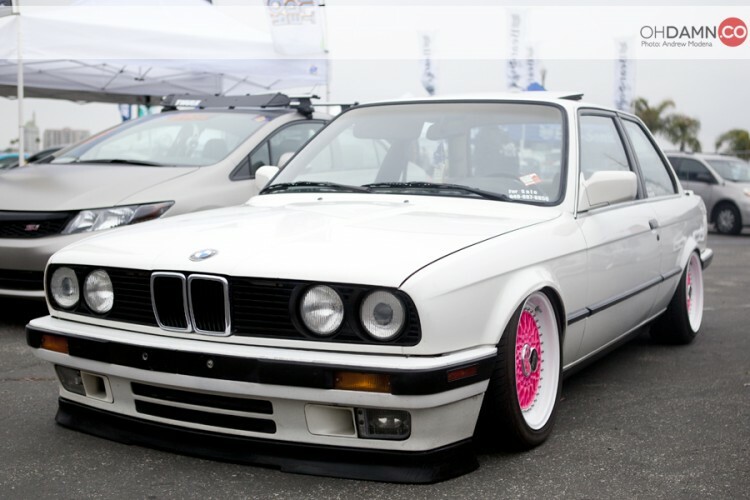 This BMW E30 has very ride BBS RS wheels on the rear, and still very nicely lipped BBS RS wheels on the front. They appear to have flat caps and chrome logos which enhance the dish of the wheel. The car also has a rare hard top. 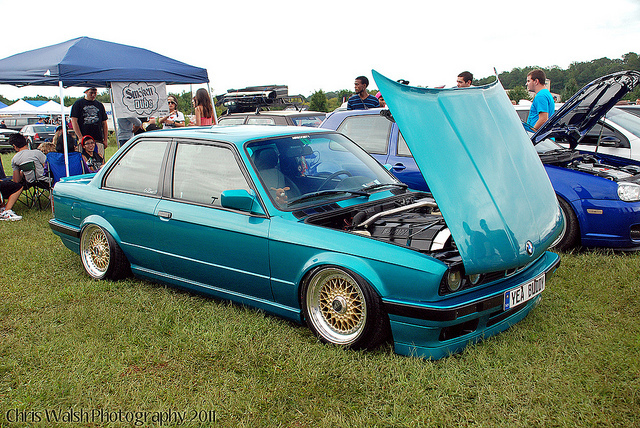 “Yeah Buddy” as the license plate reads on this very clean BMW E30. 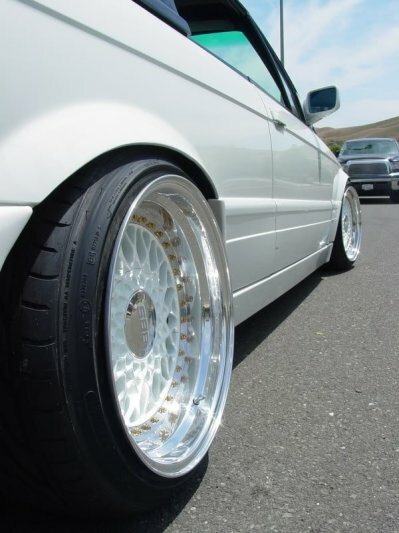 The BBS RS wheels are very flush with the fenders and wheel wells that compliments the cars clean looks. 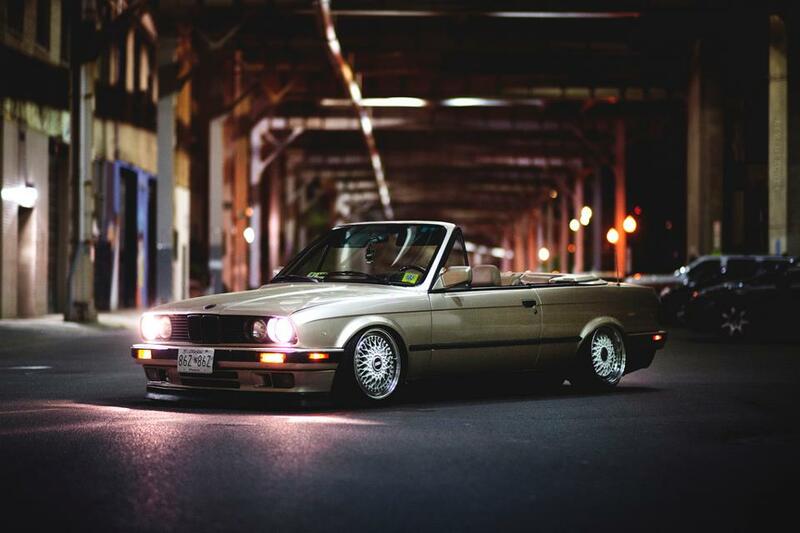 This car has classic 80’s euro written all over it. 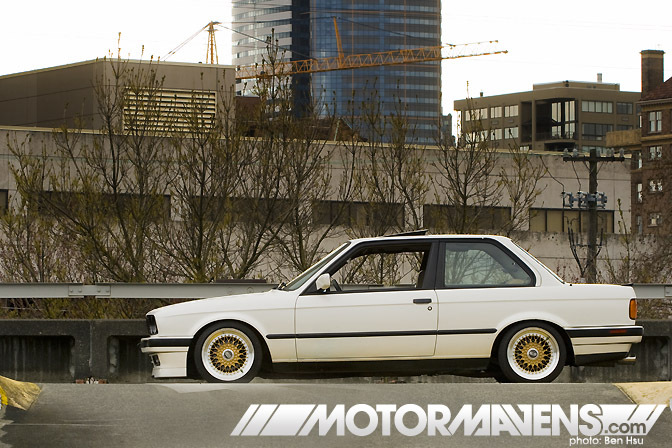 E30 M3 was the car to get, and so were BBS RS Wheels. The look is timeless!